To stay motivated, you will need to be creative. Online education may teach you a lot of things, but one that stands above all is ‘Discipline’. You will need to learn this on your own. 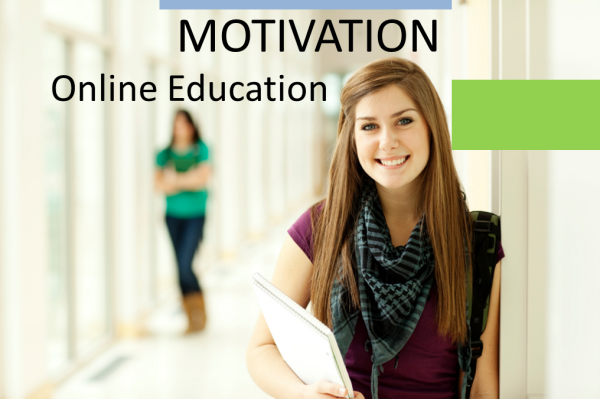 Do you find yourself losing interest in online education? The only person who can help you with this dilemma is you. And if you follow these five steps, you will find yourself getting back on track. In the start, you may tend to set big goals and try to take on more than you can chew. This eventually gives you a feeling of being overwhelmed and can even force you to give up. If you want to stay consistent and motivated, make a more realistic schedule. Make smaller realistic goals that can be completed in the allotted time. It will help you have a sense of accomplishment and will inspire you to keep at it. You don’t have to depend on campus counselors to track your progress. You can also have a map of your own to mark completed classes. You can post this map where it’s clearly visible and where you can mark your progress every day. You will be encouraged when you successfully complete your goals. During tough times, you can get back to your chart and get motivated by seeing how much you’ve progressed. Rewards can work wonders for your motivation. You stay focused, work with determination, and don’t let monotony set it. It will be a lot more fun to complete your goals and get rewarded for them as well. You can easily strike a balance between work and recreation. Rewards can be anything you love. You can reward yourself with a new dress, a night on the town, or maybe a concert of that band your friends have been talking about. The reward system may just give you that extra push you need to do well. Many students feel isolated when they are studying online. You don’t get to see your instructors or classmates on a daily basis. Yet, you can always bridge the gap by interacting with them in other ways. Video conferencing, online discussion forums, and phone calls can be a great way to stay connected. You can also create an online support community to interact with others going through a similar experience. Online support communities can be used for generating ideas, getting inspiration, or having some handy study tips. Sometimes, you may forget why you started an online program in the first place. Too much focus on current tasks can lead to a loss of perspective. If you remind yourself of your career goals and why you chose to start this program, you will feel a lot more motivated. You can connect your studies with what you’ll be doing when you graduate. You can also find out how working professionals are applying what you are learning in online classes. If you know how to strike the right balance and stay focused on your career goals, motivation is likely to stay by your side. In the end, motivation will require effort and determination on your part. Make sure you stay focused on your objectives and don’t let anything distract you.